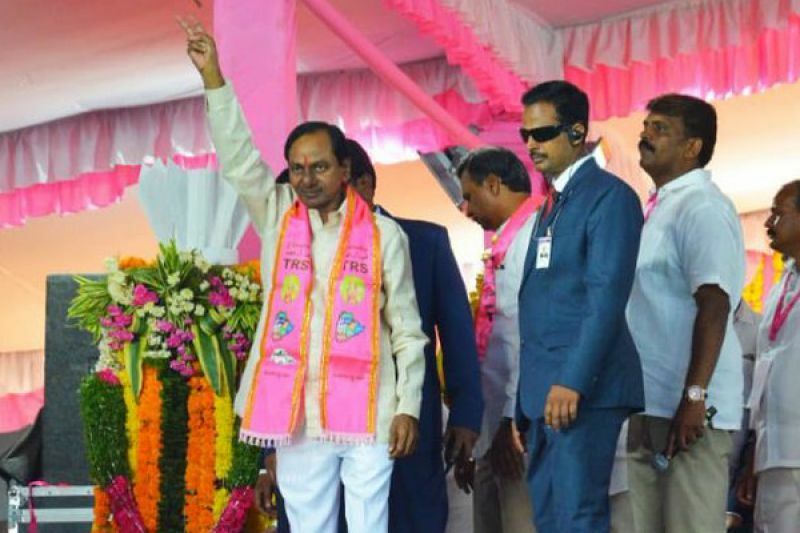 A day after the dissolution of the Telangana assembly, TRS chief K Chandrashekar Rao sounded the poll bugle at a public rally here Friday where he launched a scathing attack on the Congress over its 50 years of "useless and corrupt rule". The Telangana cabinet headed by Rao had yesterday recommended dissolution of the state assembly and the House stood disbanded the same day after Governor ESL Narasimhan accepted it. Immediately thereafter, Rao had announced party candidates for the state's 105 assembly constituencies. Telangana has a 120-member assembly, which includes a nominated MLA. "I am asking a basic question. Husnabad is a politically aware place and I am requesting people to ponder over it. Congress ruled this country for 50 years. Because of their useless and corrupt rule, not just Husnabad and Telangana, but the entire country is in poverty. "The Congress leaders...are they Gandharvas? (heavenly beings)... Are they somebody we don't know, we have not seen? Have they come from the heavens now? Where are they from? Who ruled this country for 50 years?" Rao said addressing the first of the 100 public meetings he has planned over the next 50 days. Rao, the state's caretaker chief minister now, had launched his party's successful campaign for the 2014 elections also from Husnabad in Siddipet district. The TRS boss had mounted a blistering attack on the Congress yesterday, calling the party Telangana's "enemy number 1" and its president Rahul Gandhi the "biggest buffoon" in the country. He had, however, completely avoided criticising the BJP. Putting the blame for the dissolution of the assembly on the Congress, he said the opposition party made "baseless" allegations against his government that demoralised bureaucracy. Recalling the statement of Leader of the Opposition in the outgoing assembly K Jana Reddy that he would campaign for the TRS if its government gave 24-hour free power supply to the agriculture sector, Rao said the Congress veteran should do so now as his government had fulfilled that condition. "Telangana is the only state where the farming community gets 24-hour free of cost power supply," he said. 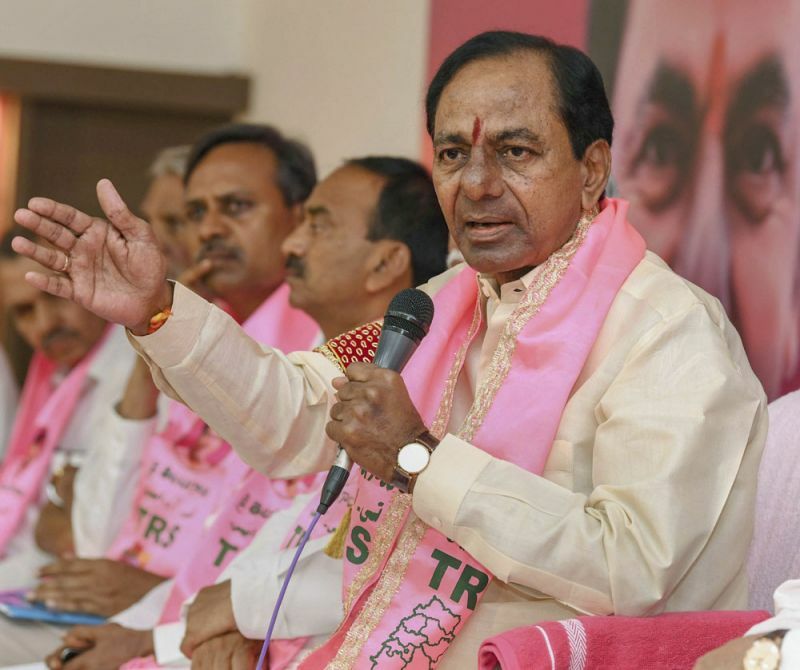 The TRS president said Congress leaders wanted to "control the levers of power from Delhi", while his party favoured "decision-making power to remain in the hands of Telangana". Listing out a series of public welfare measures initiated by his erstwhile government, Rao sought a fresh mandate for the TRS. But for the dissolution of the assembly, state polls would have taken place with the Lok Sabha elections likely in April-May next year.